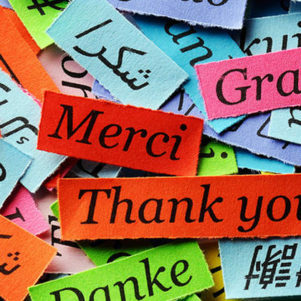 We currently offer 23 language pairs for you to choose from. Please select a language from the dropdown menu bar. This is a self-study course. You will study from the course materials and once you are ready, schedule and complete the online test. This course will certify you as a professional translator by testing your ability to translate between the two languages. It also teaches you the business side to work as a translator, such as marketing, positioning, negotiating and bidding, and quality and ethics. The course is not language specific and does not train on the English language, Target Language, or how to translate between the languages, you should already have a firm grasp of both languages to pass the exam. The PDF book is included with this package as well as the mp3 version for you to listen on the go. The Certified Translation Professional (CTP) is a leading accredited certification program designed exclusively for those professionals who want to work in the translation industry. 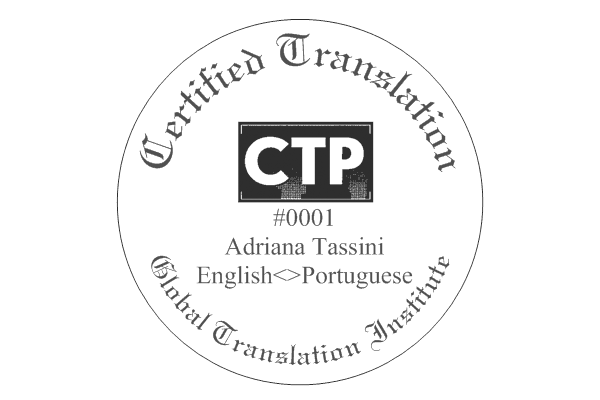 The CTP Designation is a self-study program and the exam is administered online from your place of work or home. 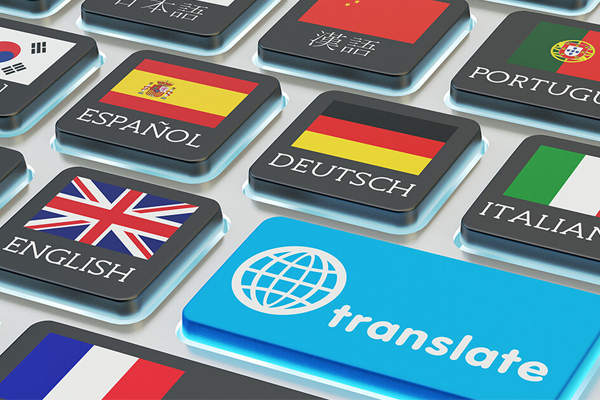 Throughout this course, you will also learn how to avoid common mistakes while working in the field as well as how to start your own Translation Company. 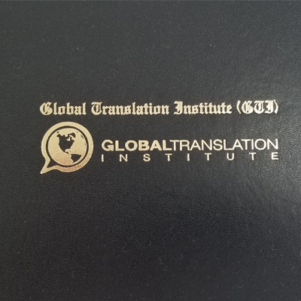 The course is Based on the Translator Training Text Book. As such students are tested on their knowledge of the book along with their translation skill in order to earn their designation. 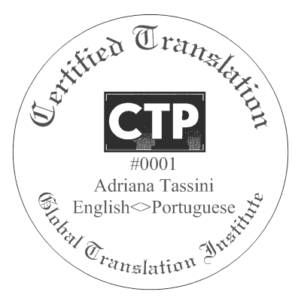 The CTP provides the translators with the capabilities to gain qualifications and credibility in the translation industry. The PDF Textbook is included and the audio files can be played through the lessons in the course materials. The Translator Training Textbook is the #1 training resource on becoming a professional translator. 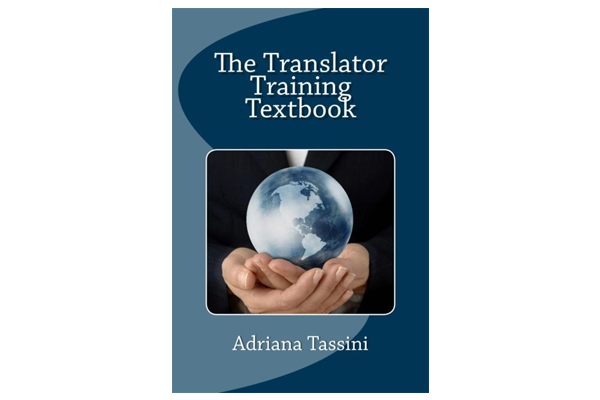 This textbook contains free videos, a discussion of ethics, practical career advice, a glossary of critical translation industry terms, and most importantly expert interview transcripts from the most successful translators in the industry. 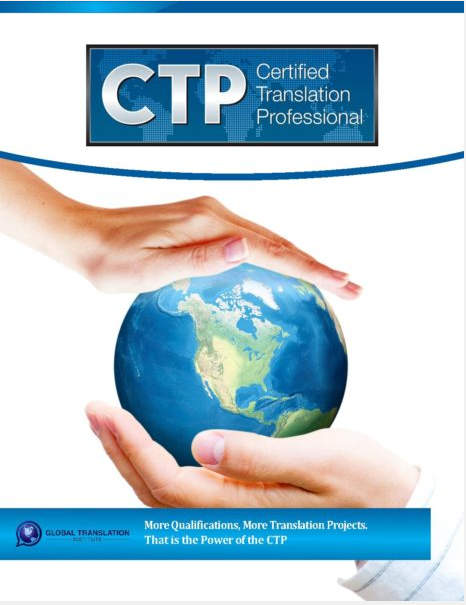 This is a required text in the Certified Translation Professional (CTP) program which is a self-paced training and certification program for professional translators.